My friends, you can still enjoy biscuits and gravy! I've always enjoyed making homemade sausage gravy and popping open a can of Pillsbury biscuits, BUT, things have changed...FOR THE BETTER! 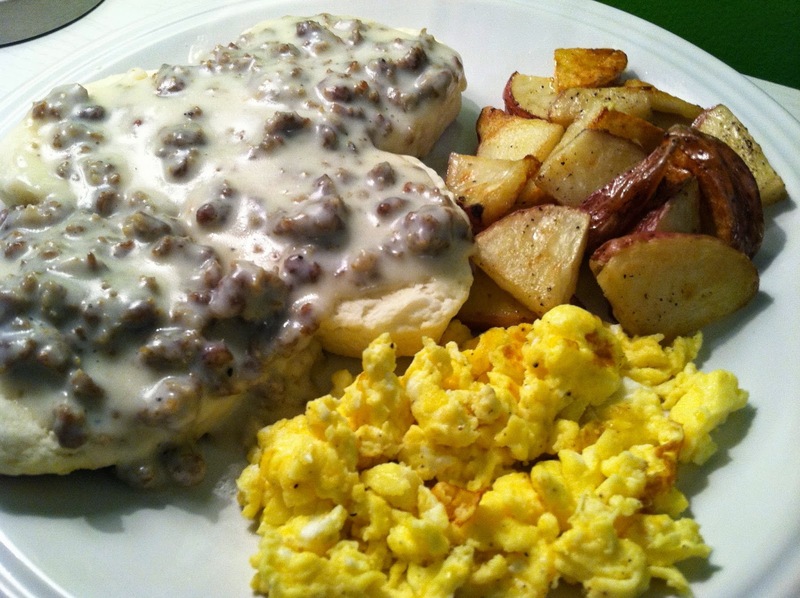 I have been able to adjust my homemade sausage gravy and biscuits to an awesome gluten-free recipe. Let me share the recipe with you! I used Pamela's Biscuit and Scone Mix and followed the recipe for "Country Biscuits" on the package. You could also use her Pancake and Baking Mix and follow the recipe for "Drop Biscuits". Both biscuits have a different texture - so depending on what you prefer - try them both - they both taste delicious. 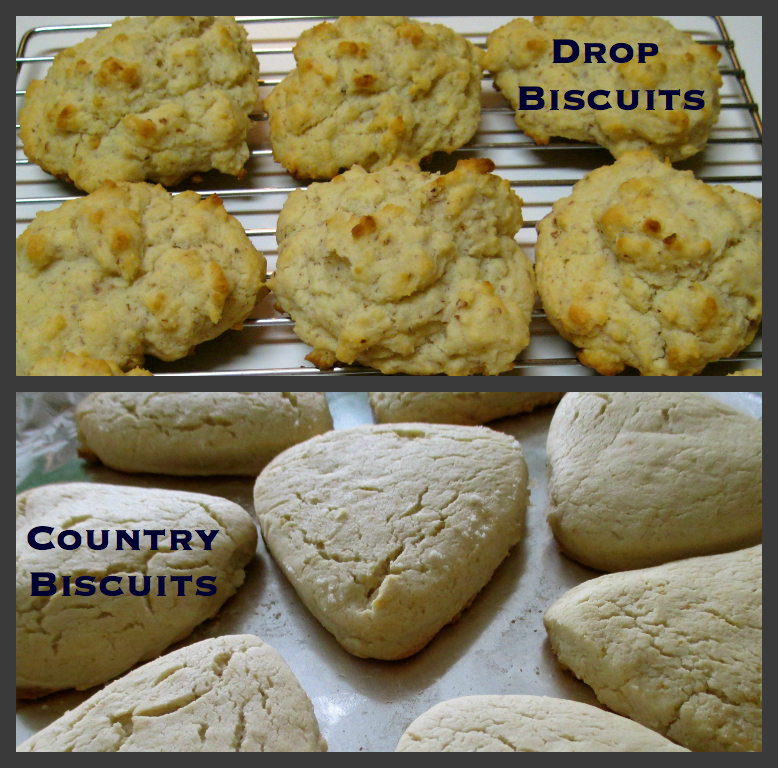 Drop biscuits may be fluffier, while the country biscuits are more dense. Step 2: Start Sausage Gravy. I use a whole package of rolled sausage, which is 1 lb. I have always used Bob Evans Pork Sausage - we enjoy the flavor. You really gotta work the spatula to break it up in smaller pieces - we like it even smaller than pictured below. 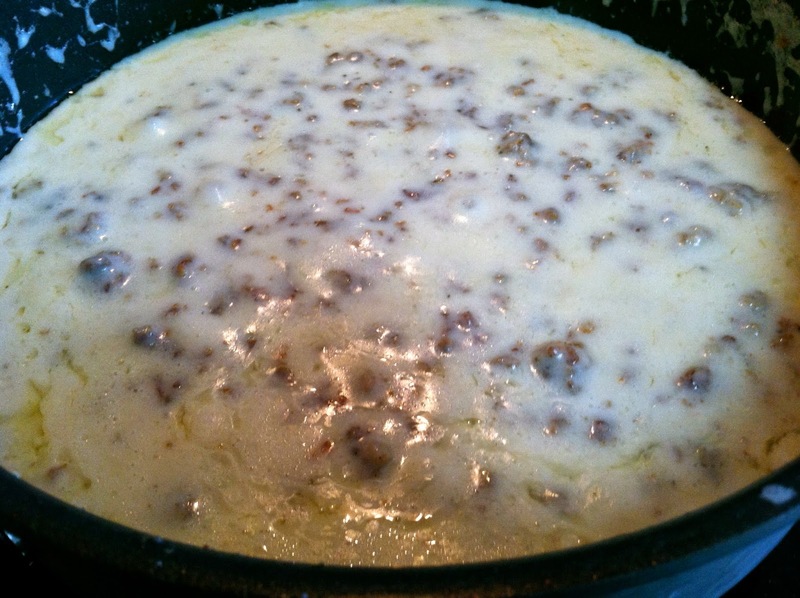 After sausage is fully cooked, push to one side of pan and add butter. Yep, I'm like Paula Deen, but she probably would have used a full stick! ;) OPTIONAL: This sausage didn't have very much grease to add flour to, so I added some butter. I used what was left-over from making the biscuits - so there you have it! You don't need to use this much butter - you could definitely use less butter! But I have to say, the flavor was FABULOUS! 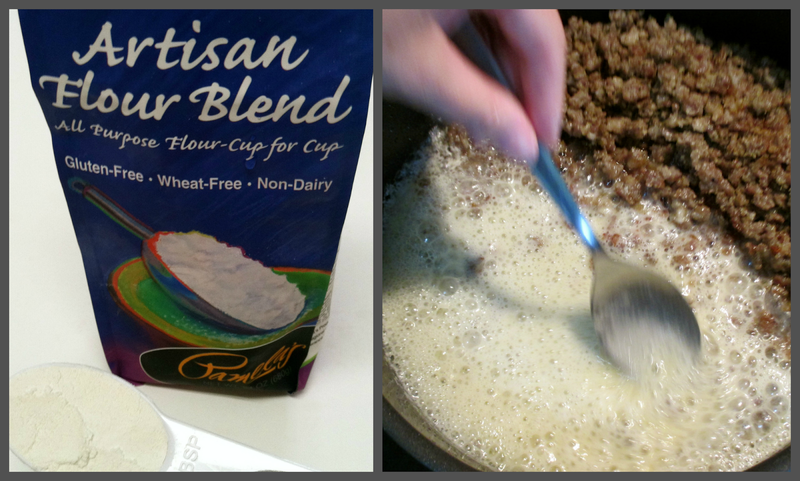 Step 5: Add 2 Tablespoons of Gluten-Free Flour. After butter melts, add 2 TBSP. of Pamela's Artisan Flour to the melted butter and stir. (This flour contains GUAR GUM, which is why I think, it makes it so much like how I used to make it with regular wheat flour). Continue stirring on medium to low heat - it will thicken quickly and you don't want lumps. STEP 6: Add 2 1/4 Cups of Milk. Immediately add 1 C. of Milk and continue stirring. As it thickens, continue to add Milk. NOTE: It depends on how much gravy you like to the amount of sausage. I like more gravy, so I probably would have done 2 1/2 cups. As you can see below, it thickens and becomes a lovely sausage gravy! Another NOTE: Do not Salt and Pepper until you taste gravy. I like salt, but as you know, sausage has a lot of sodium, so I didn't even need to salt or pepper this gravy. Look how thick and delish it looks!! Ready to serve over biscuits! DIG IN! Enjoy! The gravy is truly delicious and tastes just like I used to make it. Served with roasted red potatoes and cheesy scrambled eggs.